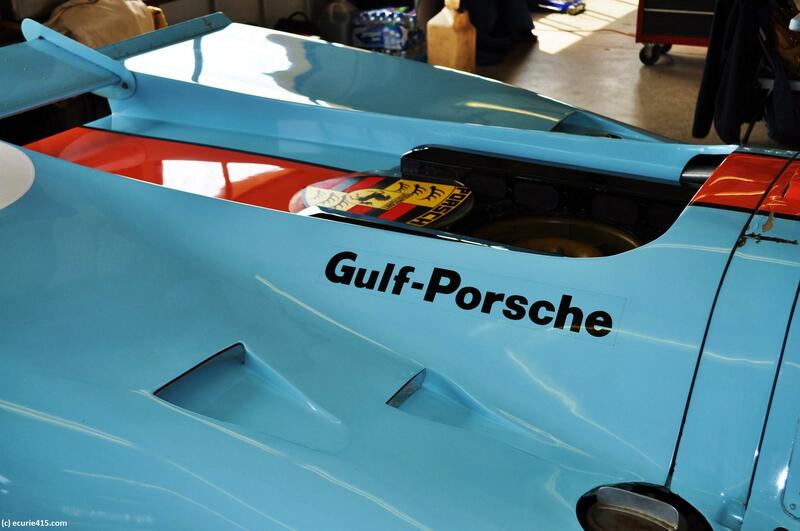 One of the standouts at the Sonoma Historic Motorsport Festival was a legendary Porsche 917, JWA Gulf-Porsche 917-016, delivered to John Wyer in 1970 and raced in the World Sportscar Championship. 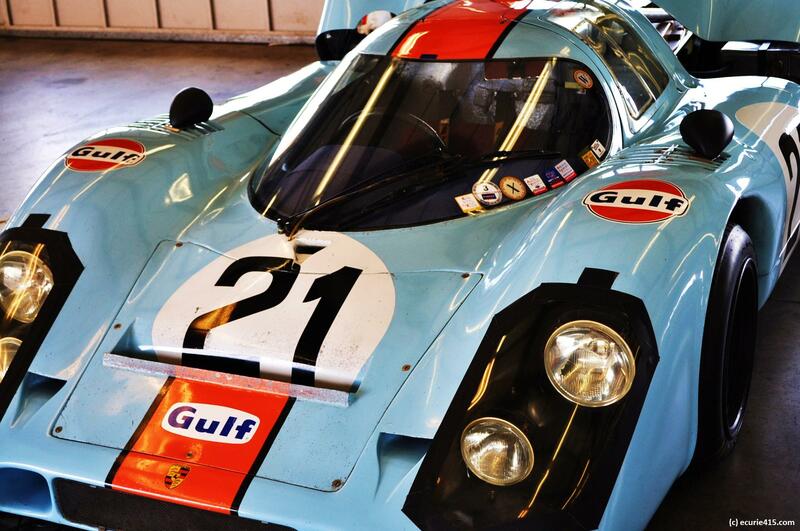 Wyer became involved in the 917 program at Porsche’s request, after the 917 had teething troubles in 1969. Previously, Wyer had successfully run Le Mans programs for Ford and Aston Martin. 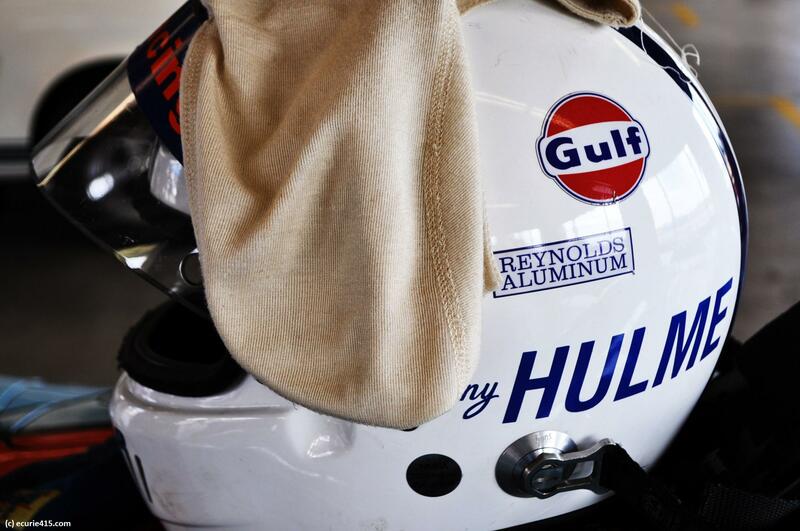 He turned his attention to the 917, and a legend was born. The 917 was Porsche’s response to a quirk in sporting regulations that allowed 5000cc engines in sports cars, if 50 cars were manufactured. For 1969, the number of cars required for homologation was reduced to 25. Porsche built 25 examples of the 917, with the objective of winning at Le Mans in 1970. Porsche had never won at Le Mans. 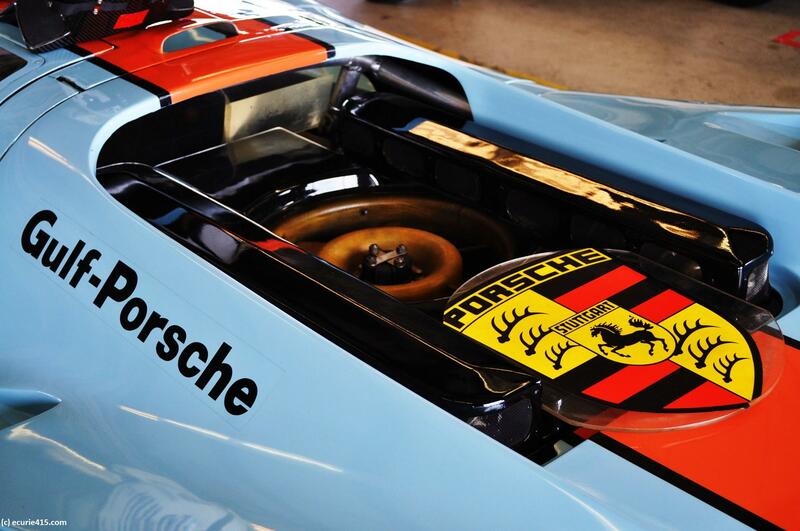 At a wet Brands Hatch, the 1970 season opener, chassis 917-016 won in the hands of Pedro Rodriguez and Leo Kinnunen. Porsche took the top four spots and Rodriguez finished five laps ahead of the next car. Two weeks later, Rodriguez and Kinnunen won again in 917-016, at Monza. The car failed to finish Le Mans that year, retiring early with cooling failure. But Porsche achieved its dream, winning Le Mans outright in a 917 driven by Richard Atwood and Hans Hermann. In July, at Watkins Glen, 917-016 tasted victory for the last time. In 1971, the car served as a test lump and spare car, appearing in one race, a Can-Am race at Watkins Glen. 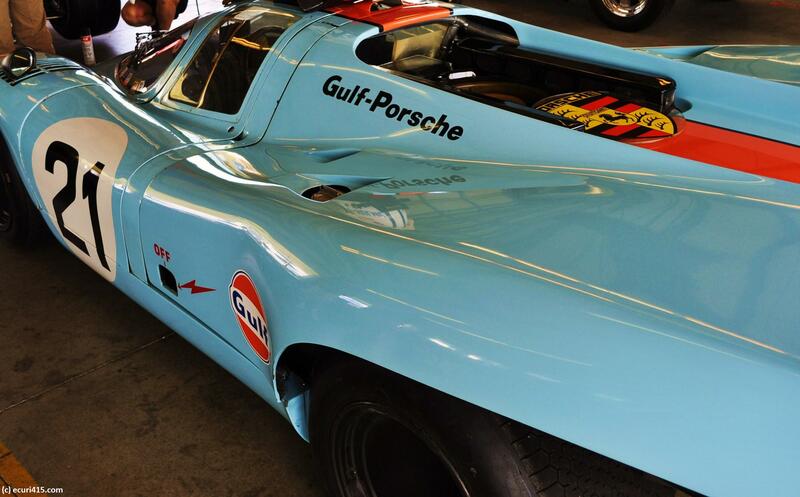 Although chassis 917-016 went to the back of the garage, the 917 enjoyed another year of competitiveness in 1971. Porsche next turned its attention to Can-Am, dominating that series before engine capacities were reduced in 1974. 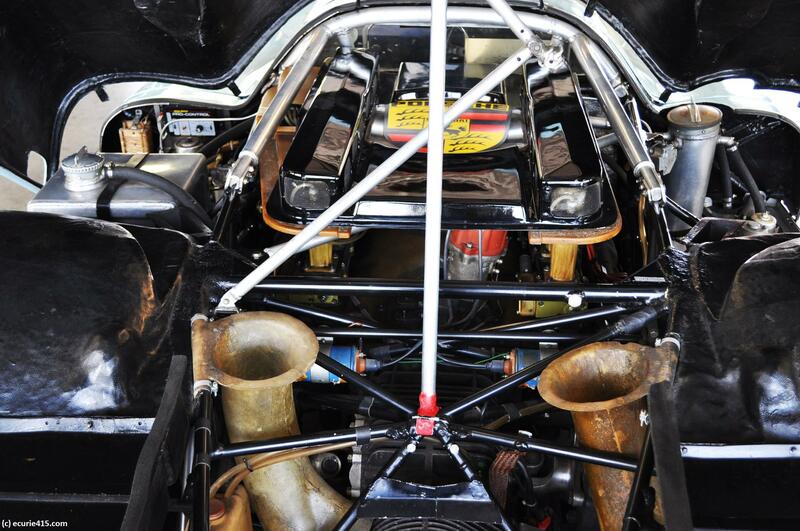 The 917 was initially fitted with a 4.5L flat-12 engine. Later editions upgraded the power plant to 5.0L. 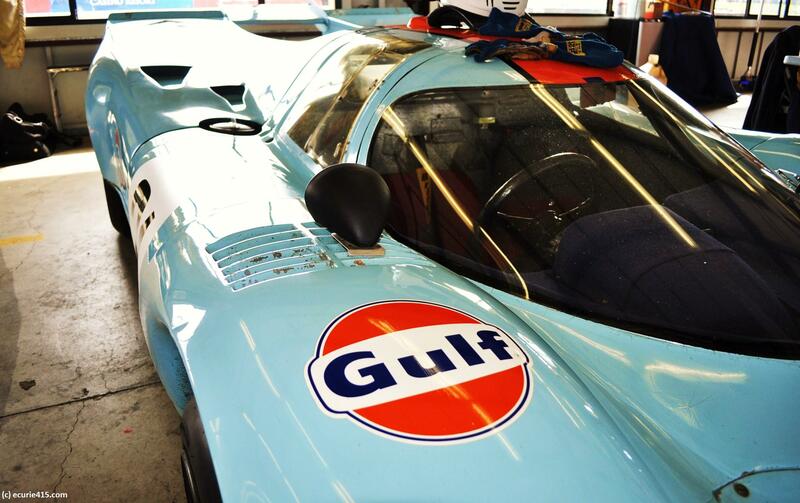 This entry was tagged Gulf-Porsche 917. Bookmark the permalink.